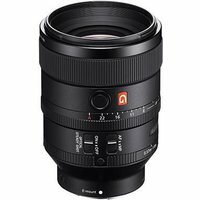 The Sony FE 100mm f2.8 STF GM OSS Lens joins Sonys G Master series of professional full-frame lenses with a bright f/2.8 aperture, Optical Steady Shot image stabilisation, a built-in macro mode, and support for both contrast AF and phase detection AF. Dust-and moisture-resistant, this mid-telephoto prime features a newly designed 11-bladed aperture and a unique optical apodization lens element to deliver exceptionally soft, smooth bokeh. It is ideal for close-ups, portrait, fashion, nature, and weddings.